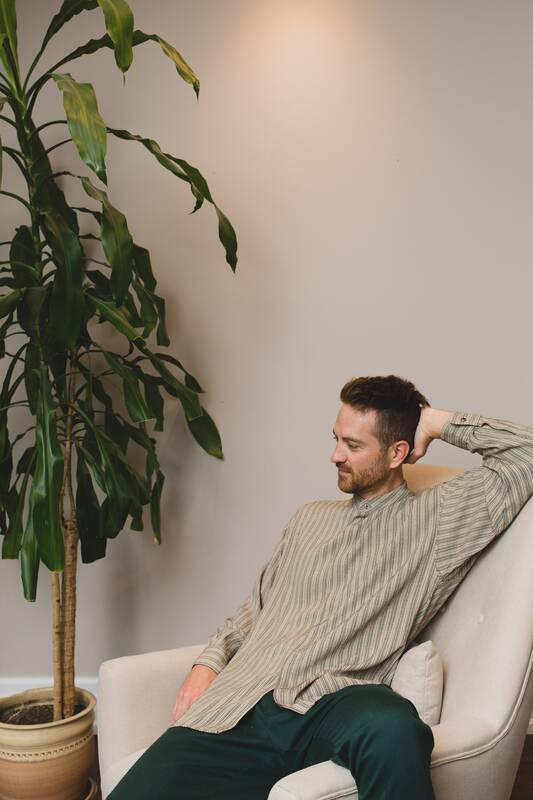 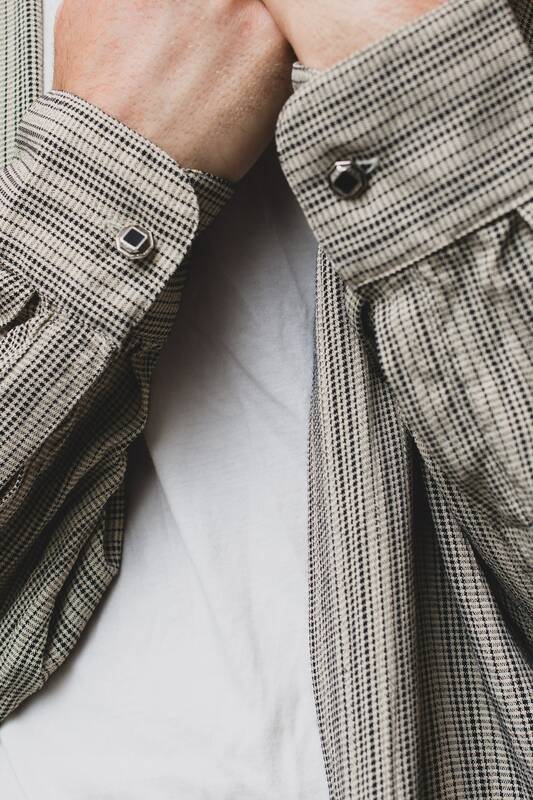 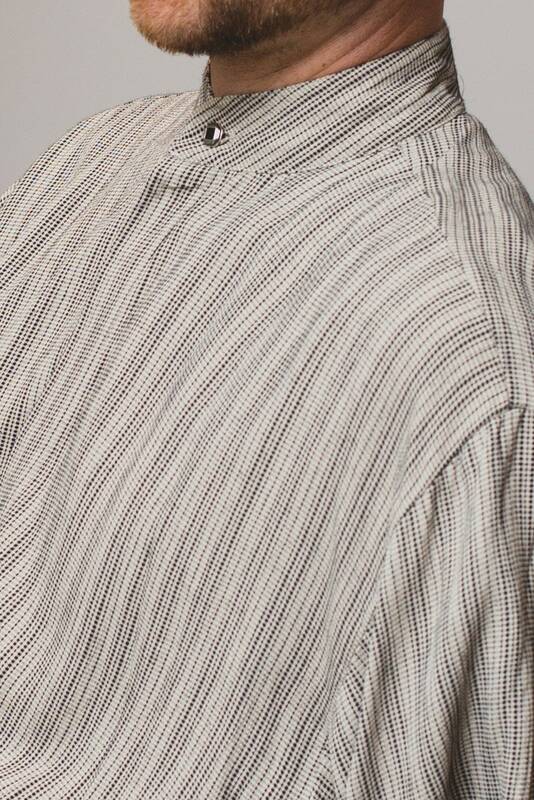 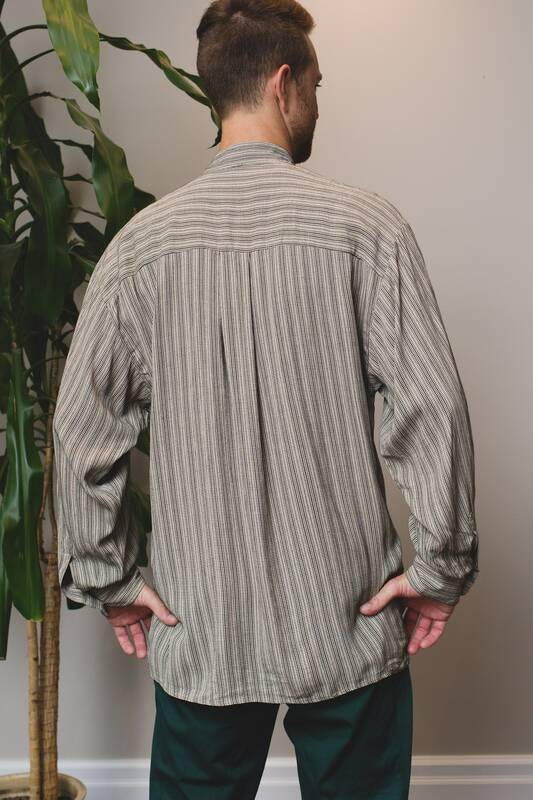 This is an excellent vintage men's medium size button down striped oxford shirt with a mandarin collar. 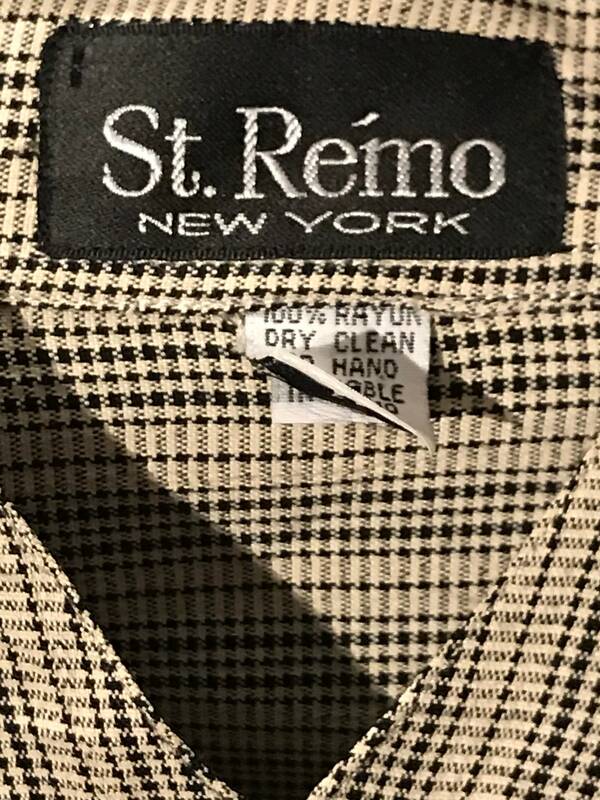 It is made in the USA by St. Remo. 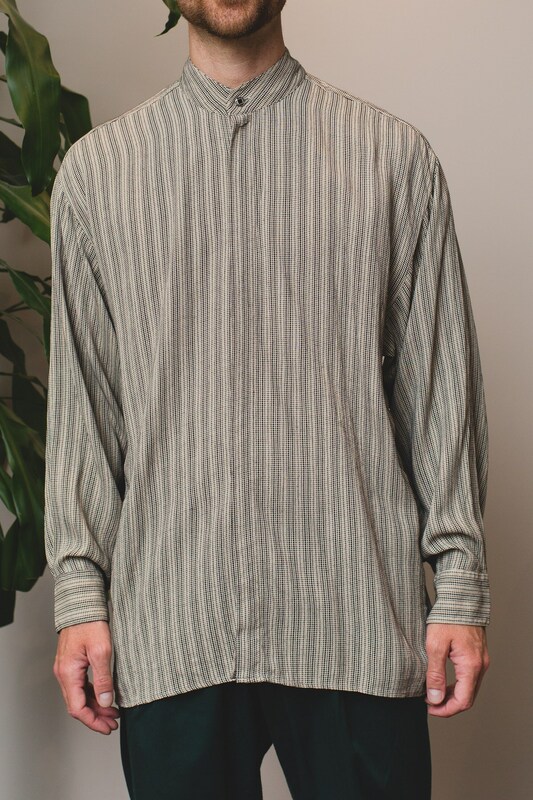 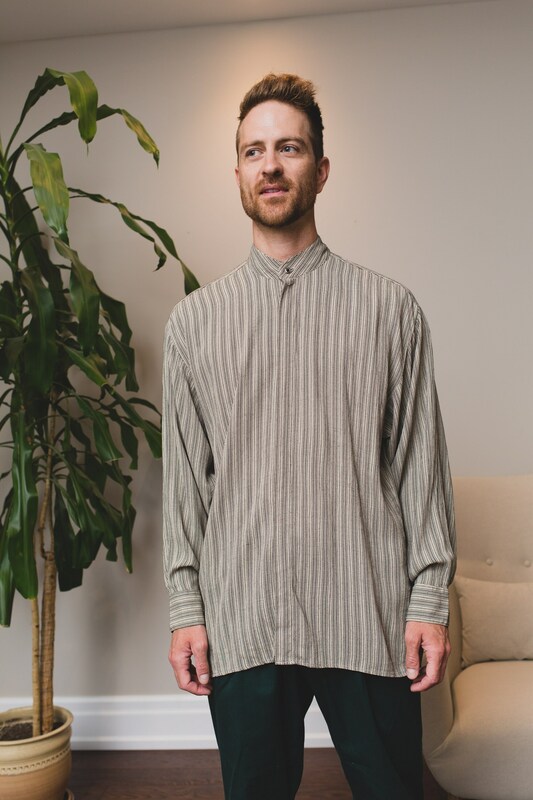 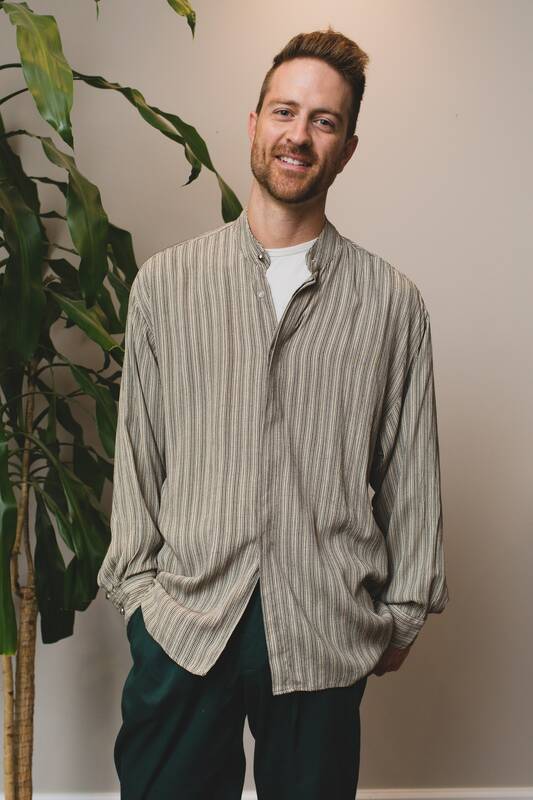 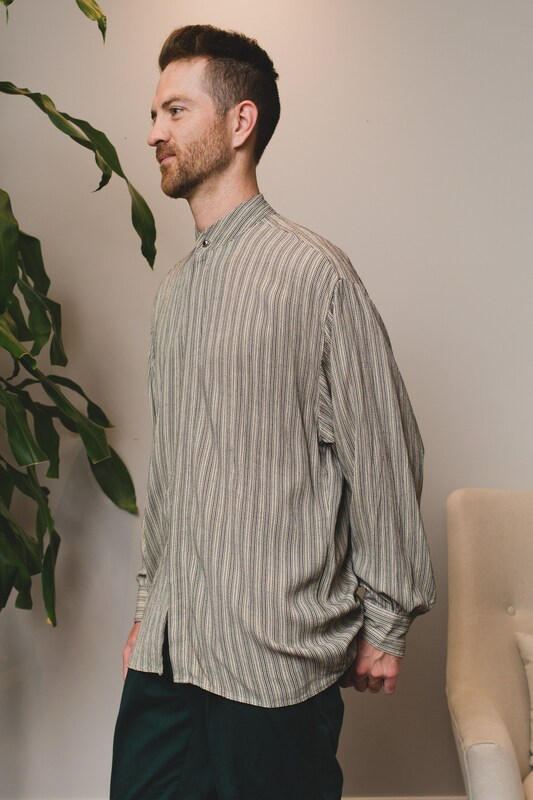 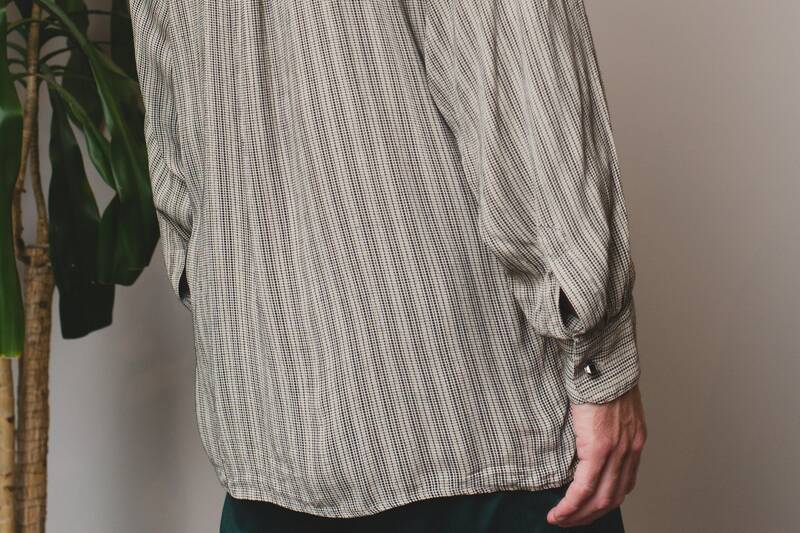 Length from neck seam to bottom of shirt: 30"
Chest (armpit to armpit seam): 46"